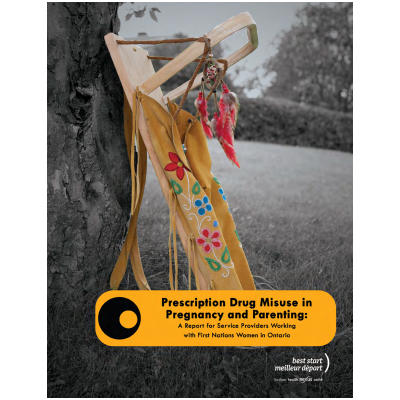 Developed with support from Health Canada, First Nations and Inuit Health, Ontario Region, this report provides service providers with information about strategies that can be used to prevent and address prescription drug misuse in First Nations women who are pregnant or parenting young children. Strategies include individual supports and community-wide approaches. Program examples highlight approaches that have been used in addressing prescription drug misuse. In order to provide context, brief background information is provided about the extent of prescription drug misuse, underlying factors leading to prescription drug misuse, and the consequences of prescription drug misuse during pregnancy and early parenting. The strength of this resource is founded in the Aboriginal voices, providing insights into prescription drug misuse, and guidance and direction in preventing and addressing this issue in First Nations women who are pregnant or parenting.